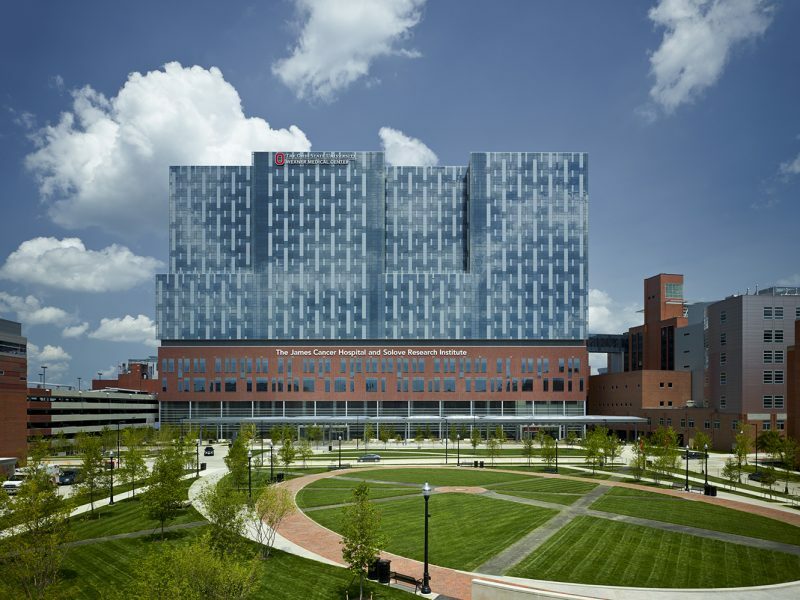 This revitalization of the Wexner Medical Center on the campus of The Ohio State University included construction of the new 276-bed James Cancer Hospital and Solove Research Institute. 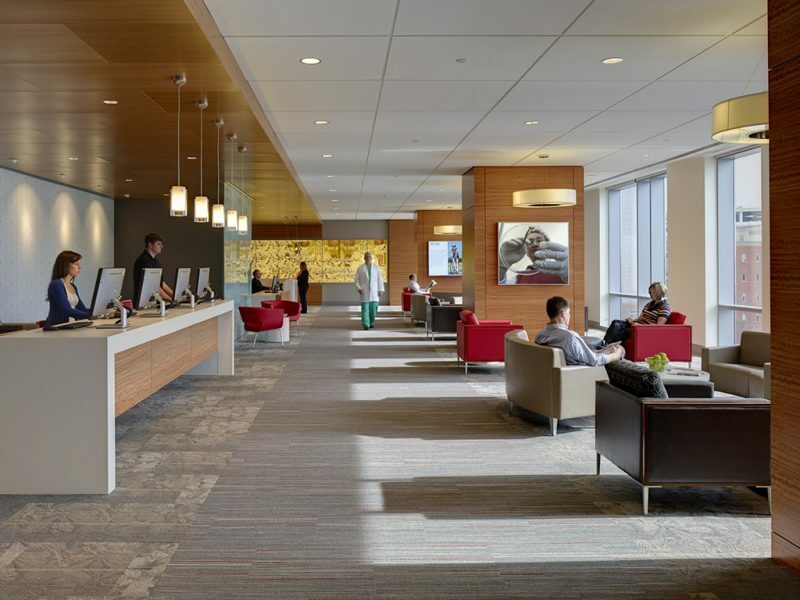 Designed by HOK and Moody Nolan, serving as associate architect, the new comprehensive cancer center expands access to world-class cancer care in central Ohio and is now the third largest cancer hospital in the country. 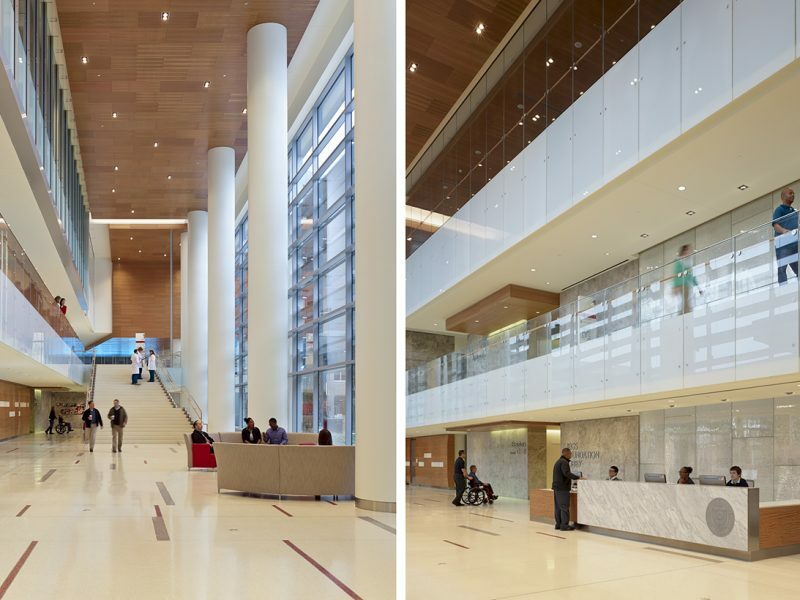 Housed within the 21-story main tower are new clinical spaces including operating rooms, imaging suites, inpatient rooms, pharmacy, nutrition, translational research and outpatient services as well as a conference center and support spaces. 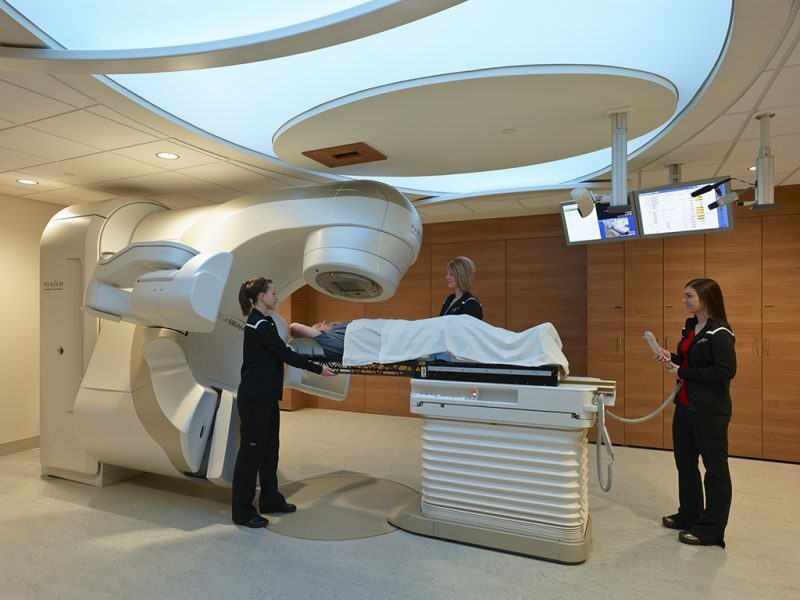 The design integrates space for research and education on each patient floor, providing a collaborative environment that will accelerate the development of new diagnostic and personalized treatment tools. 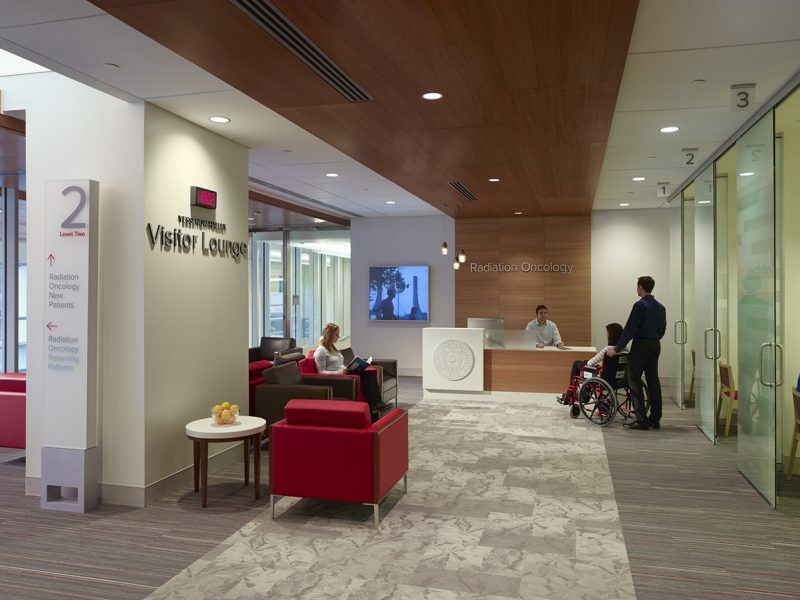 In addition to leading the design and construction of the fifth floor outpatient services center, Moody Nolan led the renovation planning and design efforts for the project which included work in Ross, Doan and James Halls. 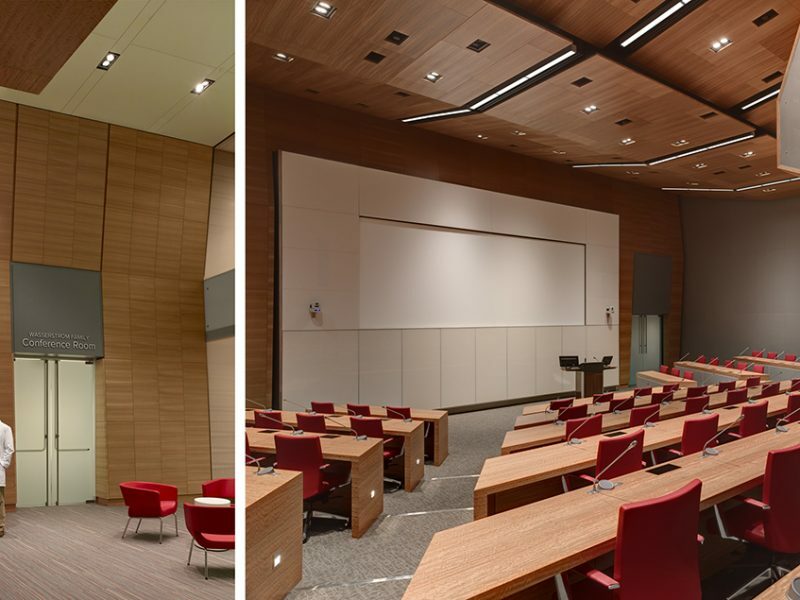 These buildings were renovated for CSS, emergency medicine, materials management and environmental services.